Beyond III, a 1967 Holman 40 Bermudan Sloop, is a beautiful classic timber yacht in every respect and now for sale exclusively with YOTI. She has a comprehensive history and a stunning pedigree. 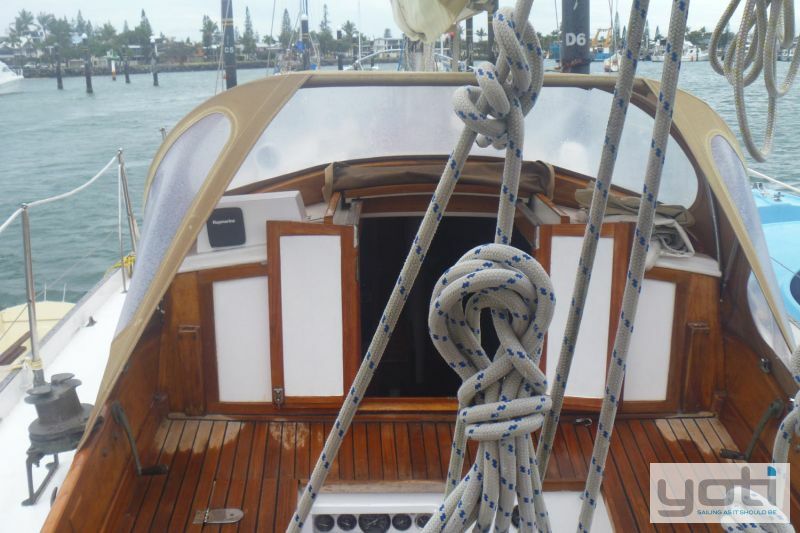 This history tells us the name of every owner since she was built for Jim Faire, and her condition is evidence of the way she has always been maintained past and present. 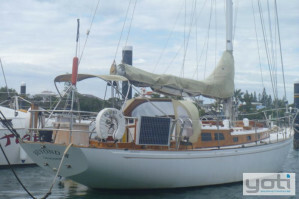 Purchased by the present owner (a master shipwright with 40 years in the trade) in 2012 in New Zealand, having pursued her for two years. 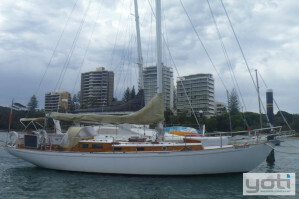 After purchase the rig was removed and fully refurbished prior to sailing home to Australia. 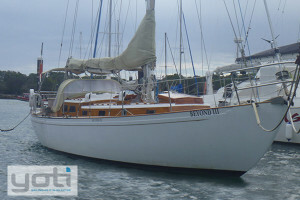 Beyond III is in superb condition throughout. 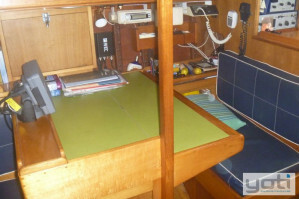 The fit out is classic, a "proper" yacht in every respect, with 4 really good sea berths, brilliant galley and a full size chart table; she was built to go to sea. The presentation is hard to fault, the external varnish is gleaming. 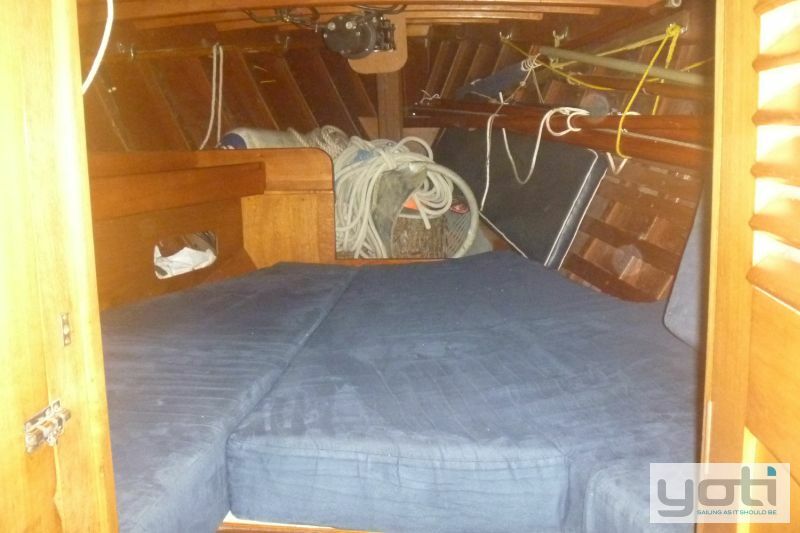 Everything is in excellent condition, up to date and ready to go. 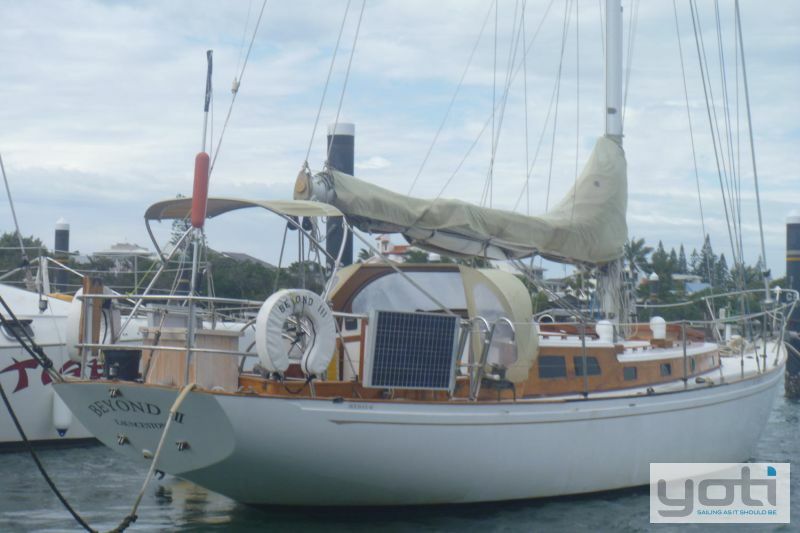 If you love classic timber yachts and have been looking for something special, you must see this exceptional yacht. 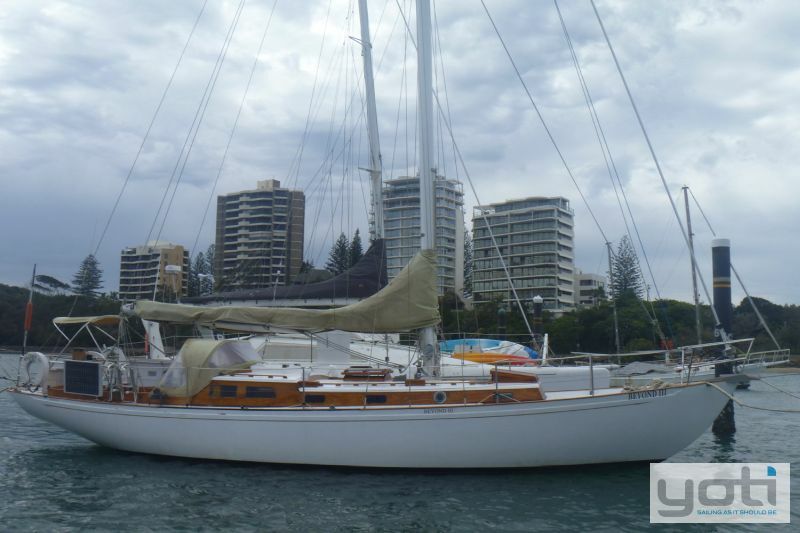 She is lying in Mooloolaba and is available for inspection at any time by appointment. Contact Robert Vrind for further details. Water (Potable) Capacity (l) : 220 ltrs - Stainless Steel tank. Hull Construction Material : Carvel Planked 1” Kauri hull, Edge glued and fastened. Polyurethane paint. Copper roved over steam bent Iroka ribs. 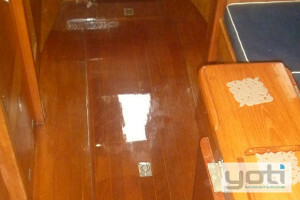 Deck Construction Material : Marine ply over Iroka frames, epoxy dynel sheathed. Teak laid cockpit seats and sole. 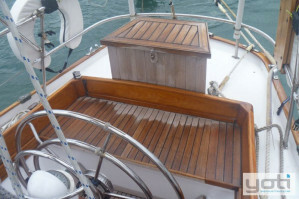 Teak coachroof. 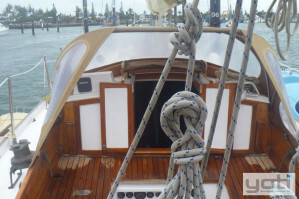 Keel/Ballast : Full keel with cutaway forefoot, keel hung rudder. Engine Notes : Engine new early 1990' s. Shaft drive with conventional packing gland with easy access grease gun to maintain grease to gland. Number of Batteries : 2 x 12v gel batteries, less than 3 years old. Fuel Tank Capacity (L) : 90 ltrs - Stainless Steel tank. Accomodation Notes : 2 x comfortable qtr berths, 2 x settee berths with lee cloths, double vee berth fwd. 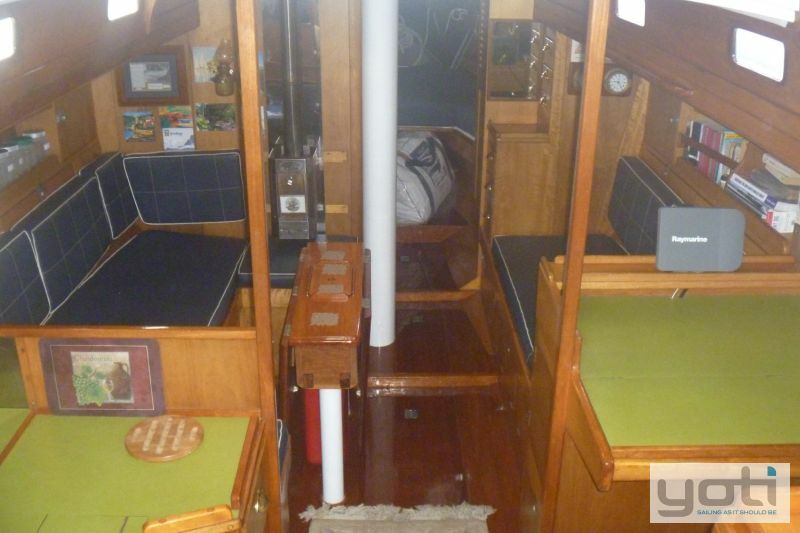 Beautifully fitted out in Queensland Maple with teak inlaid sole. 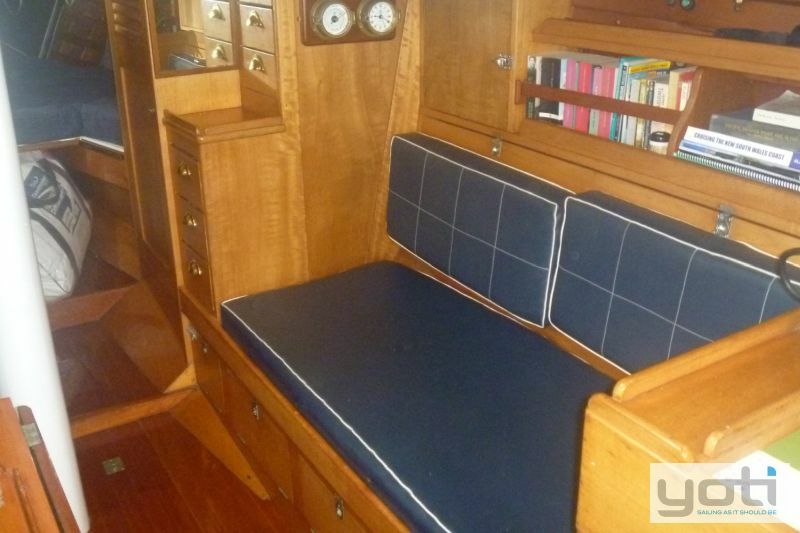 Navy blue vinyl upholstery in vgc with new foam. Full size fwd facing chart table opposite galley. Stainless steel vanity in head with manual pump. Hanging locker opposite. 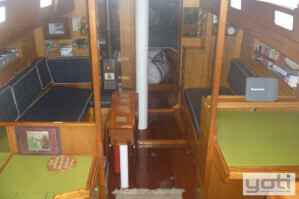 Number of Berths : 6 Berths in a traditional layout. Toilet Type : Enclosed head forward on port side. 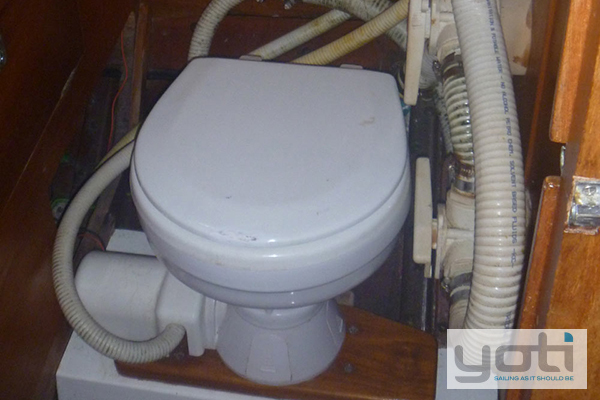 Electric toilet with 15 litre holding tank. 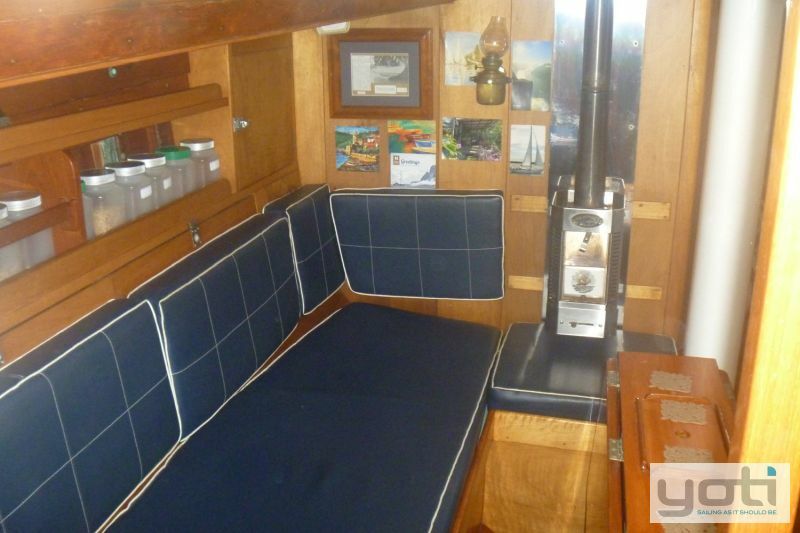 Air Conditioning : Saloon has a solid fuel heater fitted forward on the port side. 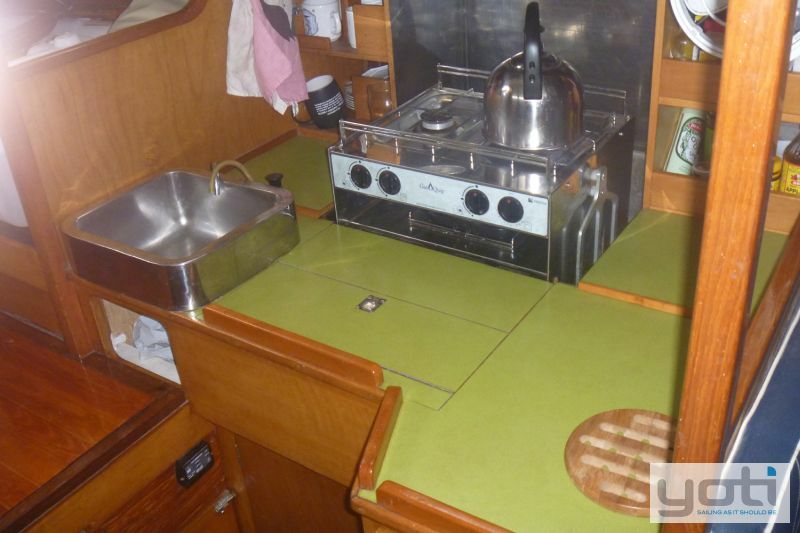 Galley Notes : Superb galley to port in a full stainless steel "bin". 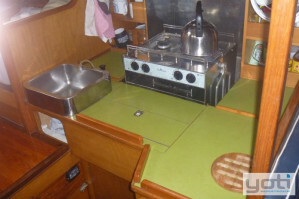 Stove : 2 burner Serada gas stove with oven and grill. 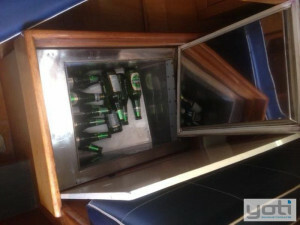 Refrigeration : Eutectic Fridge and freezer. 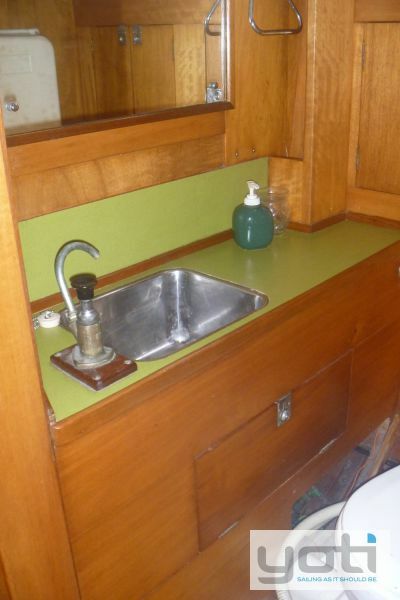 Number of Sinks : Stainless steel sink with 2 x manual pumps (Salt water & sea water). Entertainment and Appliances Notes : GME GR968 CD/ AM/ FM. Anchor / Winch : Electric anchor winch. 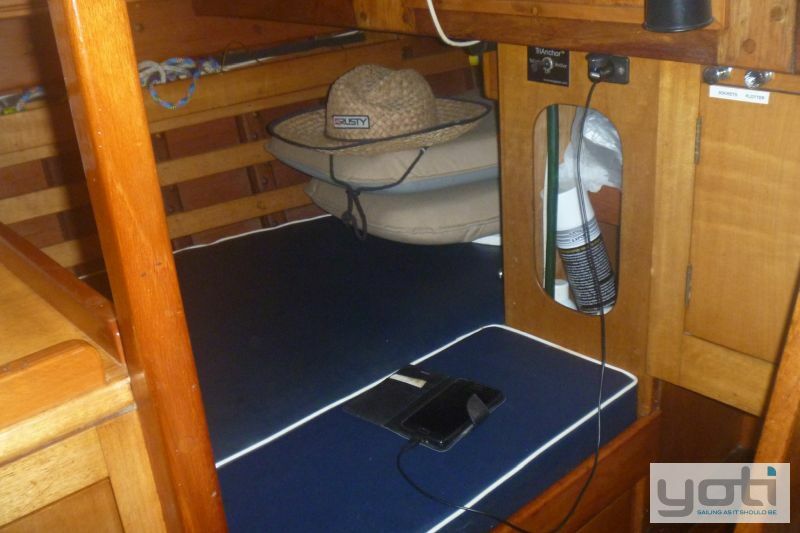 Bilge Pump : Electric with float switch. 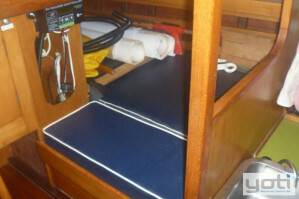 Manual bilge pump in cockpit. Second manual bilge pump. 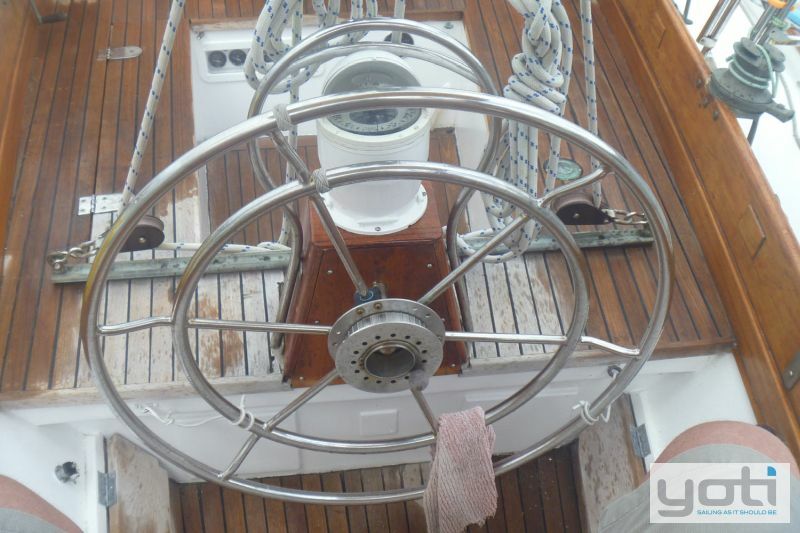 Deck Gear : Original bronze Murray winches, 2 x Halyard at mast, 2 x 2 speed Primaries, 2 x single speed secondaries. 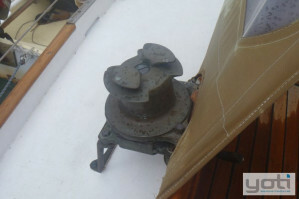 Mast/Rigging : Single Spreader Masthead sloop. 1 x 19 s/s rigging. Alloy spars, 1 x spinnaker pole, 1 x jockey pole. 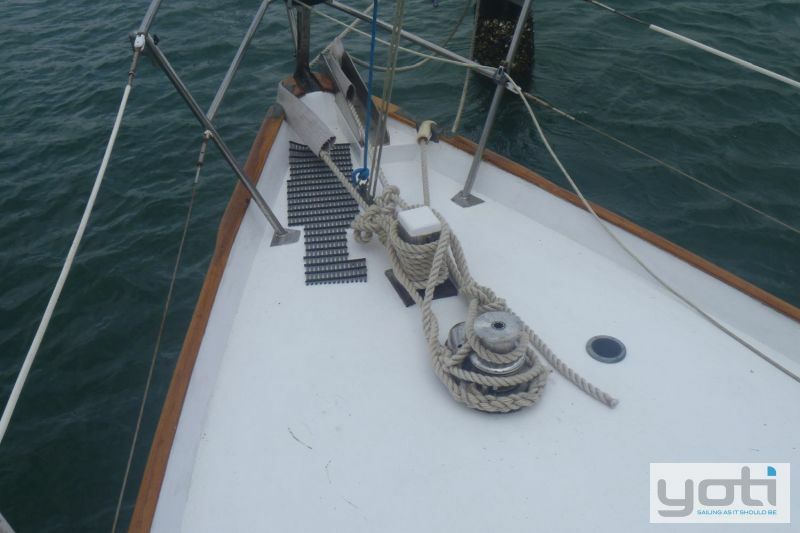 Mast was removed and totally refurbished in 2012, new blocks, sheaves, running rigging etc. Still in excellent condition. Sail Inventory : Fully battened Dacron Main with lazy jacks (VGC), good condition. Furling Genoa (VGC), good condition. Drifter. Storm jib, trysail. 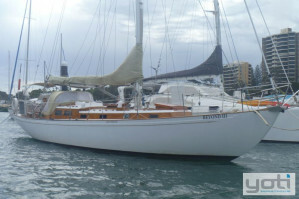 1 x spinnaker. 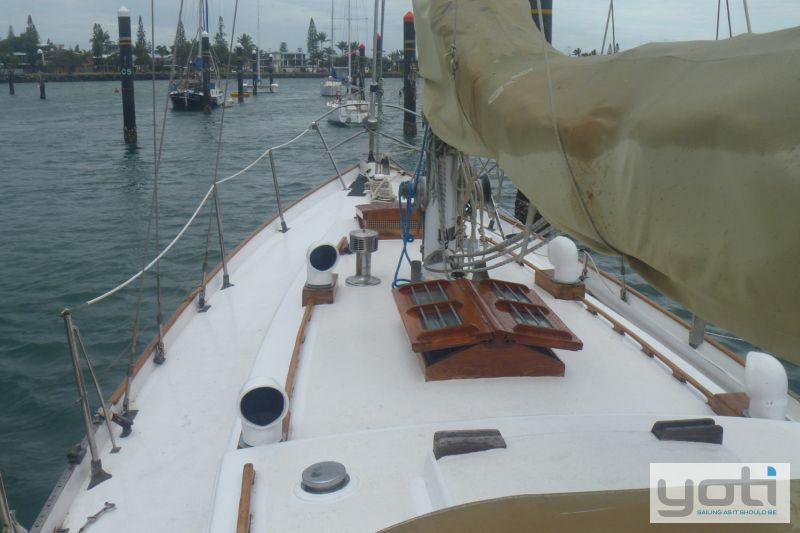 Bamar headsail furler. Mainsheet traveller forward of wheel. Electrics : 12v system, with fuses. 2 x 50 watt solar panels, 1 x 150 watt inverter. 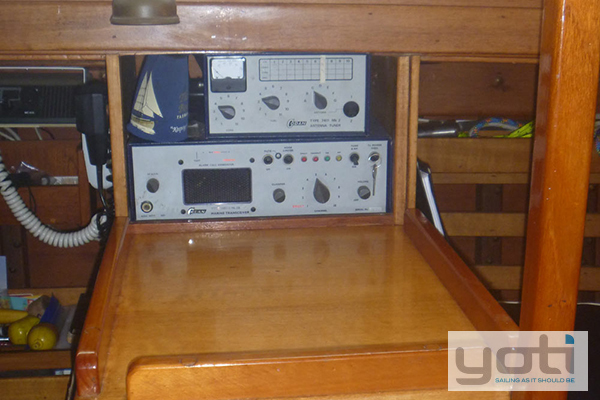 Electronics Navigation : Raymarine -A70B plotter/ sounder. Raymarine ACU200 Autopilot (new 2016). Sestral Pedestal Compass. Brass Clock and Barometer. Dinghy : 8' Ply dinghy. 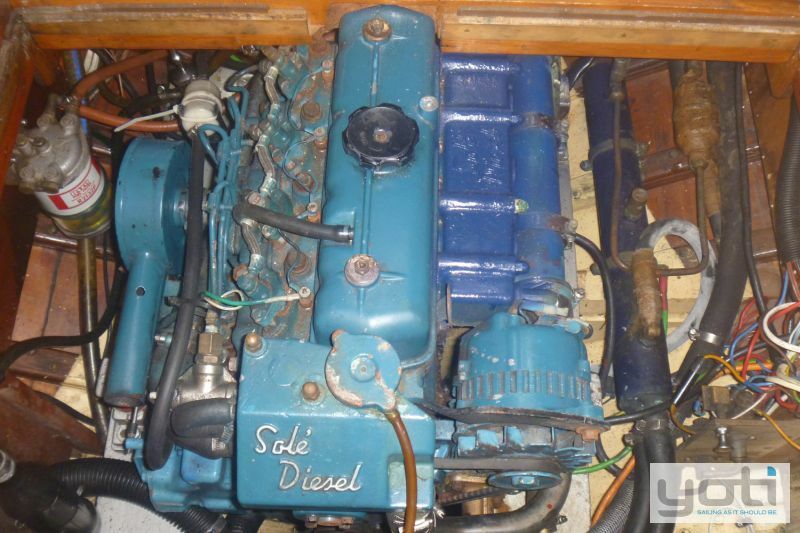 2.5 hp Tohatsu outboard in good condition. 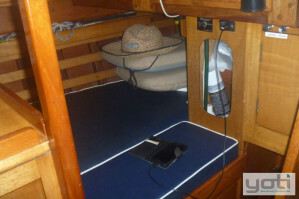 Covers : Bimini over wheel, Dodger, mainsail cover. Additional covers to protect external varnish work. Safety Gear : 4 man Coursemaster Valise Liferaft, approx 3 years old. First aid kit. 2 x life rings, 1 x Danbouy. 3 x 1kg Fire extinguishers, Fire blanket. 6 x inflatable life jackets, 2 x safety harness. Coastal flare kit (new 2018). GME Epirb. Ground Tackle : 1 x 45 lb CQR, 1 x 35 lb CQR, 1 x Manson Supreme. 60 metres x 10 mm gal chain. Warp. GPS : Furuno GP32 GPS. Radio : Uniden MC615VHF radio. Codan 6801 HF Radio. Remarks : Hull resprayed 2005, still in excellent condition and showing no movement. No cracked or sistered ribs. Teak decks were removed in 2013 by shipwright owner and new ply decks fitted over original ply. Engine Make : Mitsubishi 4 Cylinder FWC Sole. Steering : Wheel steering Cable and Chain. Propeller : 3 Blade fixed bronze propeller. 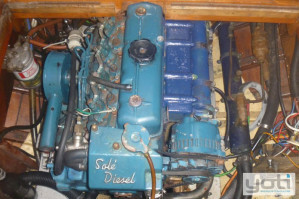 Engine Type : Diesel 34 hp.